The women's version of this classic TNF pack gets refreshed with an improved suspension and enhanced feature set. 28-LITER BACKPACK: With an improved suspension system for all-day comfort and protective sleeves for your laptop & tablet, this womens backpack is finished with easy-access, stretch-mesh water bottle pockets & an external bungee cord for additional gear. 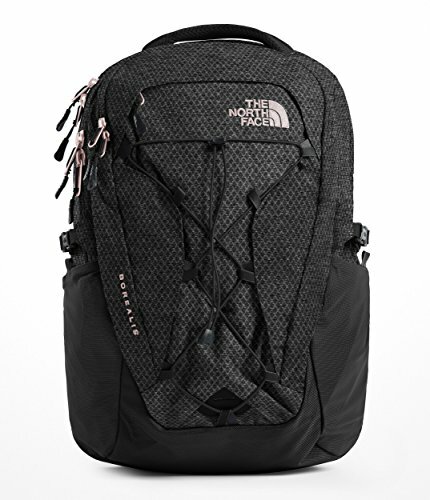 BUILT TO LAST: The North Face has durable, reliable bags for any event, from day bags and duffels to hiking backpacks and carry ons, The North Face gives you what you need to haul your gear up a mountain, to the lake cabin, or on a transatlantic flight.